CUFFLINK GOLD RIM – African Inspired. English Aura. Italian Made. Luxury Men & Women shoes worn by the likes of Hollywood stars Noah Schnapp and Michael Blackson. Shop online for premium exclusive shoes. DIJI is part of our distinctive cufflink range. 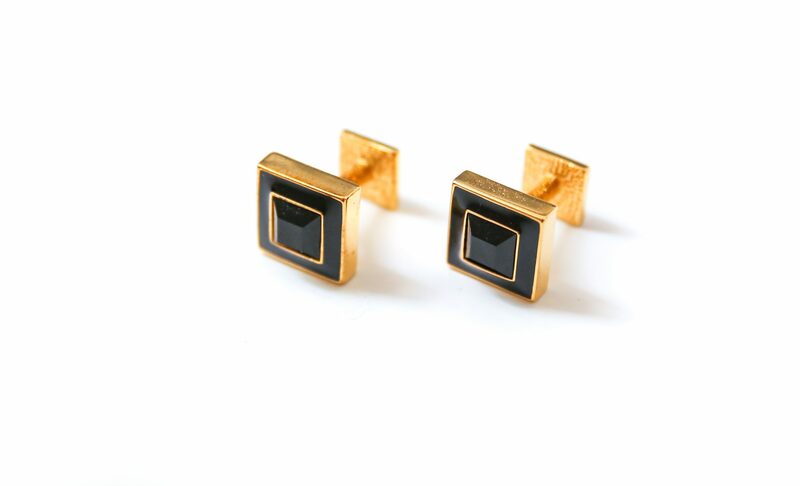 Oozing style and sophistication this cufflink is set off by the all black face encased by an oversized black rim with a gold-tone finish to the T Bar Link uniting the piece. A perfect pick for special occasion styling.